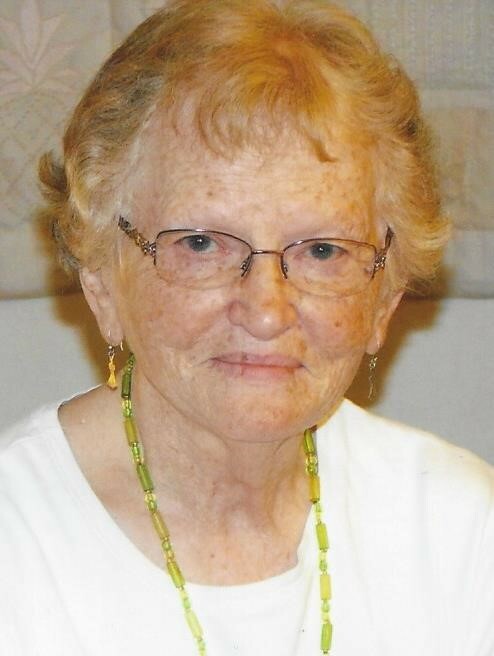 PORTAGE – Nathalie M. Hamele passed away on her 89th birthday on Thursday, January 10, 2019, under hospice care at St. Clare Meadows in Baraboo. Nathalie was born on January 10, 1930 in Portage, the daughter of Robert O. and Stella E. (McComb) Allen. Her parents and sister, Shirley resided in Wyocena for most of her young years, although they moved frequently from house to country to house. The family moved to Portage in 1943 and Nat graduated from Portage High School in 1947. She lived in Portage for the next 66 years. Nat married Robert L. Hamele on March 28, 1953. They had two children, Kent (Deb) Hamele of Brooklyn, and Luanne (James) Napoli, of Portland, Maine, and a granddaughter, Erica Hamele, of Madison. Nat worked at the telephone switchboard in Portage in her young adult years. Later she worked in the Columbia County Clerk’s office for nearly 20 years. She was long active at the Portage United Methodist Church, in Homemakers Club, and later in the Calico Capers Quilt Club. Her husband Bob passed away, also on her birthday, in 2013. After that, Nat moved to Baraboo to be nearer her sister Shirley Spees. They enjoyed quilting and the Baraboo Area Senior Center art group. Nat enjoyed traveling and visited her daughter in Cairo, Egypt, in Ireland, and Brittany, France. She often visited her snowbird sister and sister’s husband, Jim, in Florida, Texas, Arizona, California, or wherever they landed. She moved to assisted living in 2017 and she continued to pursue her drawing and colored pencil work as long as she was able. Funeral services will be held at 10:30 a.m. on Wednesday, January 16, 2019, at Portage United Methodist Church, with Rev. Tom Countryman officiating. Burial will follow in Silver Lake Cemetery. 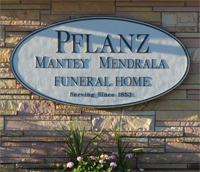 Visitation will be held from 4:00 p.m. until 6:00 p.m. on Tuesday, January 15, 2019, at the Pflanz Mantey Mendrala Funeral Home in Portage (www.pmmfh.com) and on Wednesday from 9:30 a.m. until 10:30 a.m. at the church. The family expresses gratitude and appreciation for her care team at St. Clare Meadows, Meadow Lane, and SSM Hospice. In lieu of flowers, the family suggests donations to Wisconsin Public Radio, the Audubon Society, or the Wisconsin Parkinson’s Foundation.